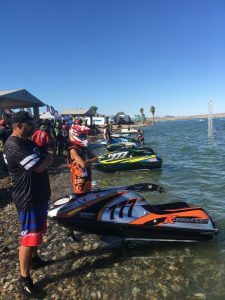 A little rundown from my trip to the IJSBA World Championships in Lake Havasu, AZ. 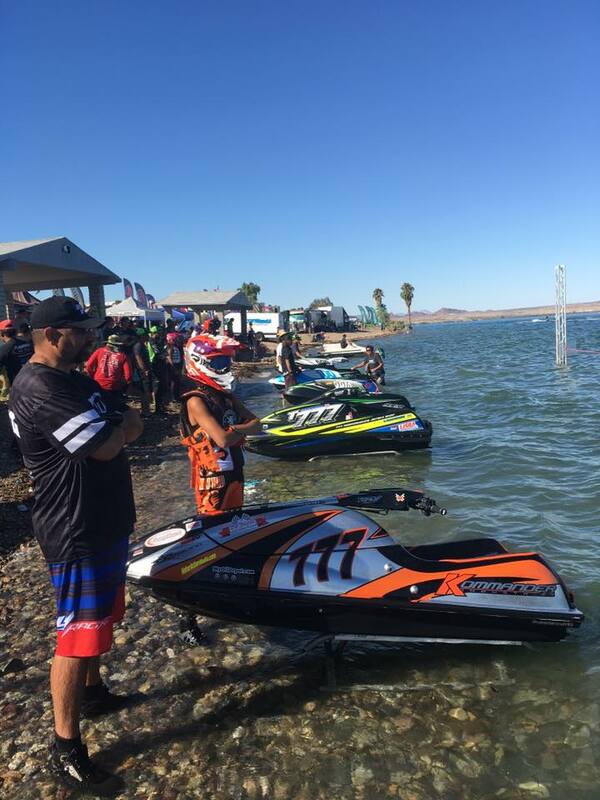 The IJSBA World Championship is one of my favorite events of the year. First and foremost, because I get to spend time with the Junior riders at Junior Stars Day with the Pros. I was invited back for my fourth year to mentor kids from around the world on how to use social media and how to gain sponsorship and work with sponsors inside and outside of the industry. I spent the day working with the kids and sharing my knowledge. The kids had a blast, and I saw their improvements on social media throughout the week. I am very thankful for these opportunities within the industry to give back. The sport helped me become the person I am today, and to contribute to these young kids who are finding their own spots in the sport — that is so worth it. 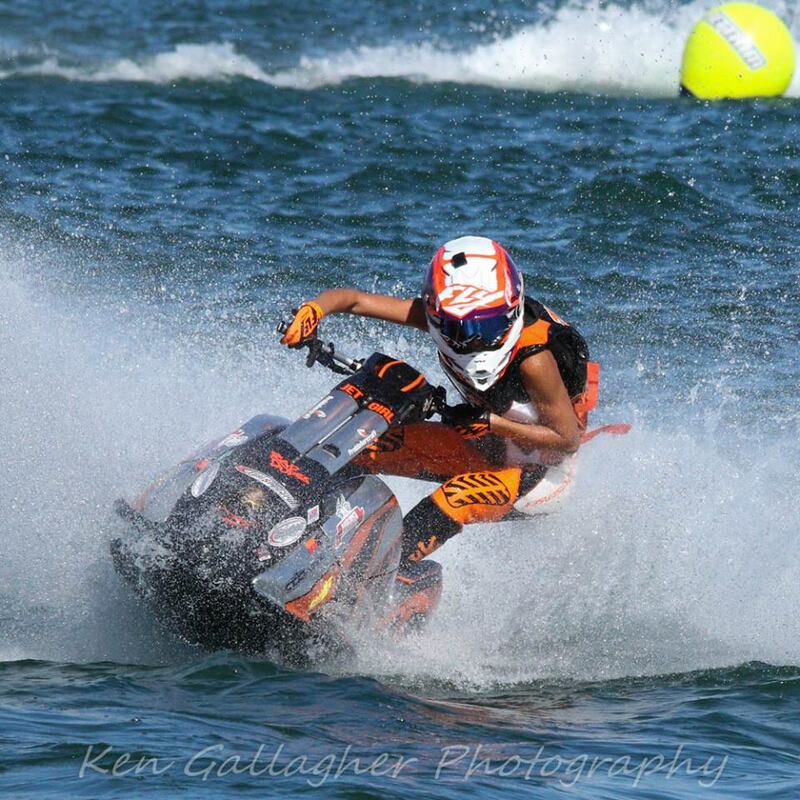 During the week, I competed in the Men’s Two Stroke Limited class and the Pro Women’s Class. I had a rough go in the Men’s Limited class, but managed to grab a 7th. In the Pro Ladies’ class, I was the only two stroke rider brave enough to line up against the new 1500cc, 600 pound Kawasakis. Prior to racing this class, I got a lot of feedback from people saying I wouldn’t even place. 15 of the World’s fastest chicks lined up on Friday, and by Sunday I wrangled a 7th. Although I would’ve loved to win, to be able to rank in the top 10 on the only two stroke was not to be taken lightly. I heard people in the stands cheering for me, and knew I was the underdog, but to be able to go out and grab a world ranking of 7th was the cherry on top. With new rule changes coming for the 2018 season, the team is unsure of what we will do next. The Boss Man has undoubtedly built the world’s fastest two-stroke limited ski, but we will continue to grow and develop our race program to progress. On game day, the owner of Asterisk (the world’s leader in motorsports braces) came by with the company’s brand manager to fit me in a custom pair of braces. I am looking forward to working with Asterisk to develop something special for the watercraft industry. 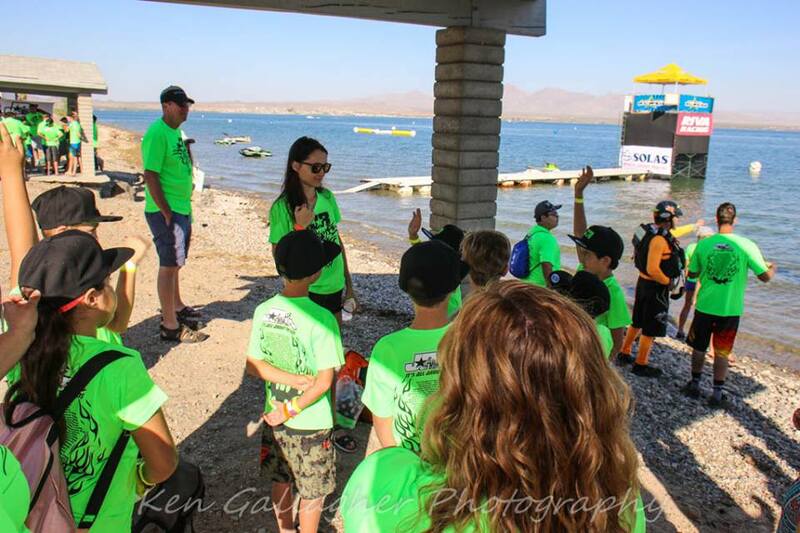 I am thankful for their interest in our sport and am happy that my work in motocross has done something bigger for the sport of Jet Ski racing. The owner of DSC Construction, Scott Cooney also came out to see the races. DSC Construction is one of the primary sponsors of the TPJ Racing professional motocross team. Scott has a background in motorsports and a real passion for racing. To have him at the races and introduce him to what we have going on was a great experience. I was also reunited with one of my old school role models, Mad Dog Dawn Wood. Dawn is one of the fastest women’s riders of all time, and is known for her wild personality. I was very happy to see her at the races, and to have her cheering me on. Throughout the week, I was introduced to fans that I have never met before. To be able to say I have fans is wild itself, but to be able to meet the people who love my adventures and support what I do was amazing. I am very thankful for everyone who supports me, whether they are sponsors or fans. I wouldn’t have been able to make it to the World Finals this year without the help of my family and sponsors. My dad (Boss Man) built me the fastest two stroke limited that anyone has seen on the starting line in Havasu. He spent hours pouring over every single detail to make sure everything was in place. My mom took care of me throughout the week, even when I was beat up and bruised, she made sure I had everything I needed. Jessie took a week off of school to support me in Havasu. On Wednesday, she was my umbrella holder. Derrick Kemnitz Jr, crushed a ridiculous number of hours in the Hurricane Industries shop to make it out to Havasu before I raced Pro Ladies. He was a great crew member and the best umbrella boy on the line. My sponsors were a great help this year. quakysense kitted me in the best looking gear this season. To have a custom vest and suit was truly a dream come true! Fly Racing helmets kept my head safe, Gasket Technology kept us stocked up on pistons and gaskets for all of our builds. Oil Depot supplied us with all the oil we needed for the season. 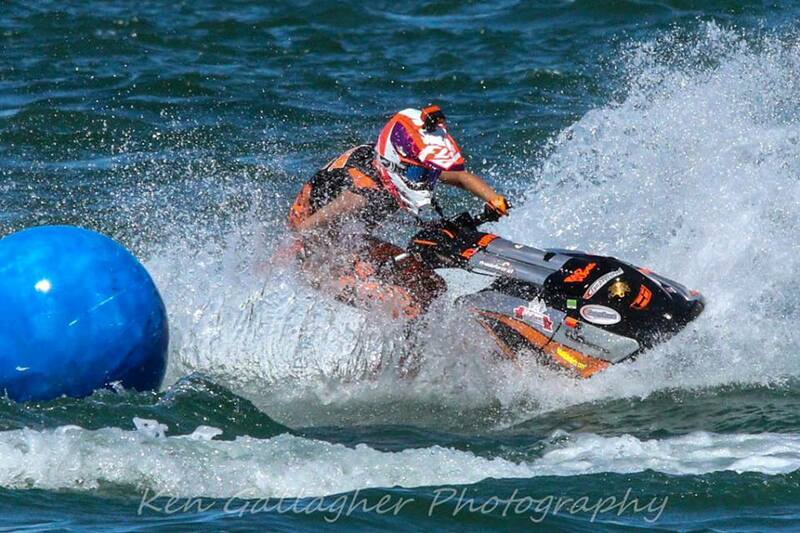 Pro Watercraft Racing assisted in keeping our handling set up on point for my 90lb self this season. Hurricane Industries was a big help in the pits and helped us with some graphic work this season. Kommander Industries was a great engine resource to the Boss Man as he kept making my skis faster and faster. Full Spectrum was an excellent resource to us in making sure our Full Spectrum carbs were on the dot. And as always, the Rad Dudes were there whenever we needed them.